The Hospitality industry has changed in leaps and bounds in recent years, thanks to the trends that shape and define it. In 2017 and beyond, boutique hospitality management is set to be a key hospitality trend. When we discuss the Latest Hospitality Industry trends, we tend to take a technology focus. In the hotel industry, the competitive edge will always lie in more subtle things. Key would be providing a different experience to customers. This year, more and more people want to stay in a full-service hotel that makes them feel as if they are in a luxury bubble. Almost every need can be fulfilled in today’s boutique hotels, which helps to explain why boutique hospitality management has risen in popularity. Aside from the full service, people are also impressed by the intimacy offered by a boutique hotel service; therefore, there is no better time than to invest in their management. One of our earliest posts has covered Boutique Hotel Concept in details. Boutique hospitality gained popularity in the 1990s, and the trend has steadily gained momentum over the years. After years of experimenting, it is safe to say that the lodging and hospitality industry has finally figured the trend out, which has ushered in a new era of boutique hotels that go far beyond cool interiors. In the past few years, major hotel groups such as Marriot, IHG, and Shangri-La have invested heavily in boutique hospitality management, which has facilitated the rolling out of unique boutique brands. The Millennial segment has also played a huge role in ensuring the success of the trend owing to the curation of information, as well as the convenience offered by technology. As such, boutique hotels speak to how people want to travel now; they offer more than just a place to say. They offer experience as well, which is priceless. This is interesting, isn’t it? 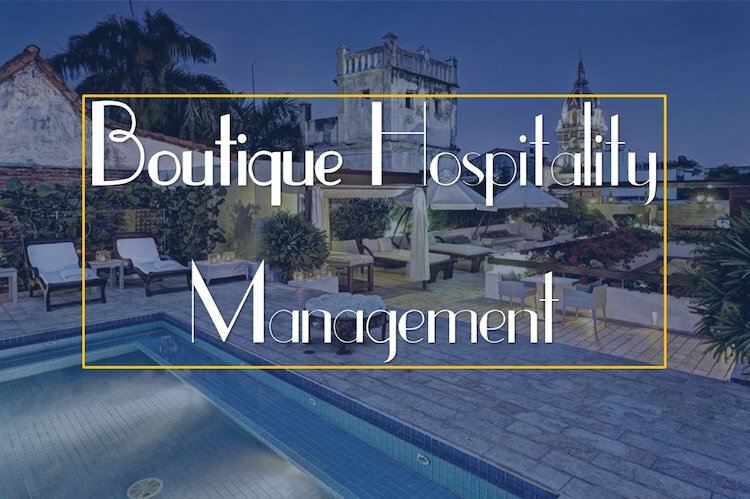 ‘Bachelor in Hotel Management’ and ‘Boutique Hotel Management’ have the same abbreviation. That speaks of the growing expanse of the Boutique industry. 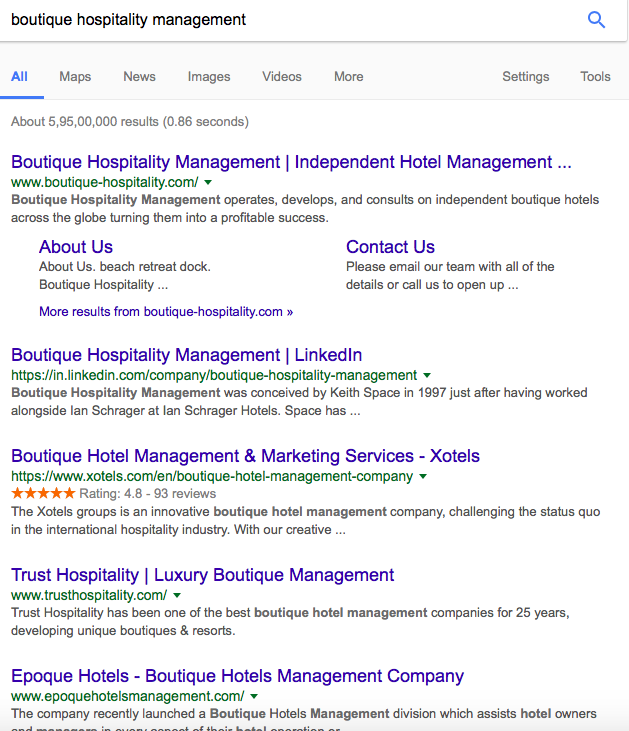 Searching on Google will get you hundreds of companies offering Boutique Hospitality Management along with hundreds of jobs in this area. Now, let’s get on with the what to expect list of the Boutique Hotel Management. The changes are already visible and will get more visible with Boutique Hospitality Management in full swing. 1. Experience and Integrity will hold the key to success in the Hotel Industry. This year, guests are looking for boutique hotels that are willing to go beyond the cookie cutter definition of what people have come to expect from a standard boutique hotel. Guests are looking for experiences that they will remember fondly, or those deemed Instagram worthy. Experience is going to be the key. People travel for an experience. These hotels have a soul which seems to be attracting the millennial more than ever. Guests are also looking for some more exclusivity from boutique hotels. This year, many should be on the lookout for private member’s clubs that have been incorporated into the hotels particularly in key urban areas such as London and Milan. Have a look at few of the Best Boutique Hotels in London. A lot of the hotels in the urban areas around the globe have Boutique Hotels with private clubs based on common interests and common themes. This is set to grow even further. 3. The Location will be less important in future. Now, that’s a no brainer. Especially after the super success of Airbnb. Guests are proving that boutique hotels can survive and thrive beyond the city centres. However, in order for them to beat the buzz of more urban hotels, they must be active particularly on social media platforms. Plus, this will also ensure that smaller Hospitality groups will be able to compete with the Largest Hotel chains. It is important, that as technology continues to take on a more central role in our lives, boutique hotels will also step up to offer guests more in-room technology. Boutique hotels know their customer and can do justice to a theme. Travellers look for an experience of a lifetime when they visit a place and hotels that can add to the experience will certainly have an edge over conventional hotels. It is due to these reasons, the Tree House Hotels and Ice Hotels are rising in number. On top of these, there are a lot of Unusual Hotels in the world which are alluring to travellers as they are boutique and special. The hotel industry is evolving and Boutique Hospitality management is certainly something to watch out in 2017 and beyond.